Internet Explorer family photograph, originally uploaded by Gen Kanai. This is why Virtual PC is so interesting. 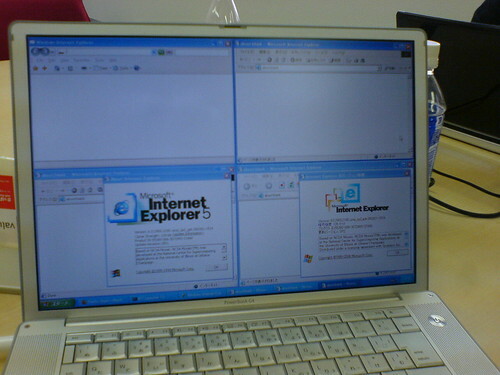 You can’t normally run 4 different versions of IE on Windows.